In the late 1800’s the Walt Family purchased two lots in Prince Edward County . David Walt purchased them for his four sons: John, William, Leslie and George. The land given to John Walt passed down through his son, Earle Walt, and then on to his son, John Walt. 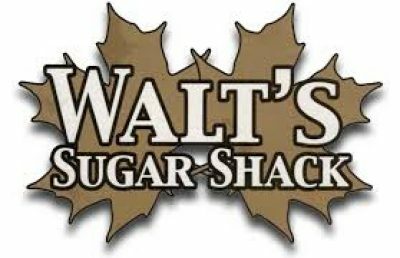 The land has been farmed by the Walt family since its original purchase and in 1999 the production of Maple Syrup started. It was a humble start with a small shack and a large flat pan to the boil the sap with. In its beginnings Walt’s Sugar Shack started small – gathering sap in buckets from the tress with approximately 40 trees tapped which would produce approximately 20 litres of the delicious treat. Today, there is a state-of-the-art piped collection system, a reverse osmosis system that saves time and wood for the evaporator and a brand-new evaporator system. What started with but 40 taps has grown into over 1200 taps and continues to grow!